In contrast, two linear mitochondrial plasmids (pFOXC2, pFOXC3) of the plant pathogenic fungus F. oxysporum contain a single, long ORF of 527 amino acids that is highly conserved between the two plasmids (Kistler et al. 1997; Walther and Kennell 1999). The circular mitochondrial retroplasmids harbored in the Mauriceville and Varkud strains of Neurospora spp. contain an ORF of 710 amino acids (Nargang et al. 1984; Akins et al. 1988). This ORF contains conserved amino acid sequence blocks (I-VII) characteristic of retroviral and other RTs; in addition, pFOXC2, pFOXC3, and the circular mitochondrial retroplasmids encode 62- and 81-kDa proteins, respectively, having RT activity (Nargang et al. 1984; Akins et al. 1988; Kuiper et al. 1990; Walther and Kennell 1999). The most noticeable difference between the RT encoded by the R. solani plasmids and the RT encoded by the two linear mitochondrial plasmids (pFOXC2, pFOXC3) is that it is considerably larger (887 versus 527 amino acids). The size of the region between domains III and IV of the amino acid (domains conserved among RT in the largest ORF) is inordinately large. A 232-amino acid gap in the middle of the ORF was not homologous to any known RT (Nargang et al. 1984; Akins et al. 1988; Kistler et al. 1997; Walther and Kennell 1999). 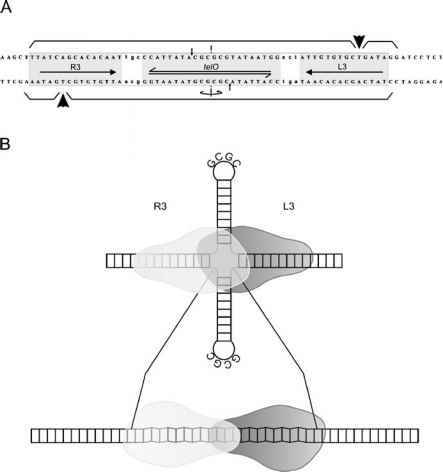 The plasmids pRS224 and pFOXC are classified as retroplasmids because they each encode an RT and replicate via an RNA intermediate (Kistler et al. 1997; Walther and Kennell 1999). To date, retroplasmids have been found only in mitochondria of six filamentous fungi species: F. oxysporum (Walther and Kennell 1999), R. solani (Katsura et al. 2001; Miyasaka et al. 1992), Epichloe typhina (Mogen et al. 1991), Neurospora spp. (Akins et al. 1988), N. crassa (Collins et al. 1981), and Trichoderma harzianum (Antal et al. 2002). Putative RT activity, however, was not present in mitochondrial lysates of R. solani (Nagasaka et al. 2003).